← How to pick the perfect wedding cake. The title alone is enough to make you cringe, but don’t worry it can be easier than you’ve heard it can be. Nothing about this process is gonna be easy and it can result in daily disagreements until it’s finished , but it’s something every bride and groom must buckle down and get done.The most difficult part is getting started, but no worries, we can help you out with that. 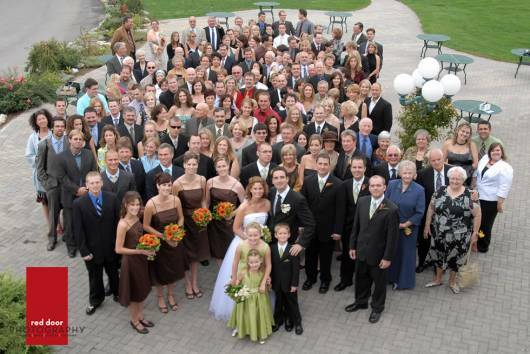 If you haven’t already thought about it, figure out the general size of the wedding you would like to have. Do you want a large fairytale wedding with 250 of your closest family and friends or an intimate wedding of 50 or less. Once you decide which direction you would like to go and what number you’d like to stick closest to you can then move on to decide how you will choose your guests. This decision can also be narrowed down depending on your budget for the reception, it will also be easier to decide on a specific number when you decide on how many you can afford. In order to diffuse any tension the guest list may cause, establish early on if it will only be the two of you making guest list decisions or if your family will have a say in who’s invited. Deciding to include your parents in the guest list process can be a headache in itself because they can try to over take your list with old friends and family members you haven’t spoken to in years. If you would like to avoid that kind of tension the two of you can make separate list’s of must have’s and then combine them and fill whatever spaces might be left. However, this method is not always fool-proof due to the fact that one of you may have a large family while the other one has a rather small family. This issue can also be a source of stress because the guest list may end up being uneven and that isn’t exactly fair either. Should you and your mate reach an impasse take a second alone and really crunch your list to decide who must be at your wedding. Children or no children? This can have a large effect on the size of your guest list. Kids are always great but sometimes they aren’t a great match for a wedding and reception. If this is the case make sure that you address both the inner and outer envelopes to the parents only.Printing “no children” anywhere on your correspondence may not be the most polite option and having a blanket “no children allowed” policy is not always practical either. So in order to fix this here is what you do, have an age limit that states that only children 12 and over are allowed or only of the children of the bridal party are allowed. 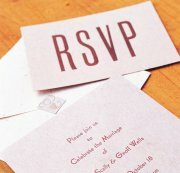 This is not one of the easier parts of the invitation process because lots of friends have children but these types of decisions have to be made. Once you’ve narrowed down your guest list to the absolute last guests make sure you are keeping constant tabs of the people on your guest lists. This means keeping an electronic version as well as a hard copy and please make sure that they are both up to date. This means tracking guests who will be attending with a date and guests who will be attending on their own. There should be space for you to note things like wedding and shower gifts you’ve received from them as well as when and if a Thank you note has been sent out. Of course it may be harder than you thought but that doesn’t mean it will be impossible. Once your done you can then go on to focus on other things for your wedding day. This entry was posted in Budget & Finance, Uncategorized, Wedding Advice & Tips, Wedding Details, Wedding Planning and tagged bridal, budget & finance, Layne Corban, marriage, wedding, Wedding Day, Wedding Details, Wedding Planning, Weddings. Bookmark the permalink. We decided to include only friends we could pick up the phone and call and jump right into a conversation. If I need to spend ten minutes on the phone asking or answering background information or playing catch up about life then I didn’t invite the person because we are not really that close. It helps to keep it intimate and budget-friendly.